Its funny, whenever I think of healthy eating, two people come to mind- my sister, who is a rockstar athlete, and second is a friend of mine who since I met her many years ago has introduced me to all sorts of different diets, and healthy eating ideas. As I recall, it all began when we worked together long ago, and she religiously came up with a new diet plan each week- the soup diet, the sandwich diet, the ever loved 5 & 2 diet (5 days of eating well, 2 days of indulgence). However as time went on she found just general good eating practices, and was ever the advocate of learning the ways to slim down popular entrees. It was she who, several years ago when I accompanied her out of the office during a lunch break, introduced me to the "bowl" at Boloco. A Burrito in a bowl? No tortilla? What was this crazy talk? Well that crazy talk was something delicious- all the great flavors of a tasty burrito without the added, unnecessary calories of a tortilla. 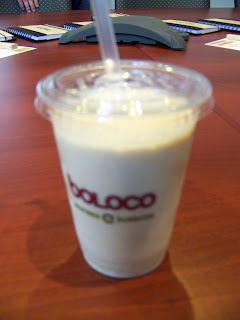 Since then Boloco has been on my radar for those days when I just don't want to bring my lunch to work, but don't want to sacrifice healthy eating either. With this in mind, you can imagine my delight when I was invited to attend a meet and greet and eat (I heart rhyming) with the CEO of Boloco last night. We met at their new headquarters located in the Berklee district of Boylston Street. We were led through the restaurant -which is sparkly clean by the way- and into a back conference room. Once there we were greeted by John Pepper and their executive chef and partner, Jason Hutchinson. We spent the next couple of hours eating tasty creations, as well as learning what makes Boloco so great. 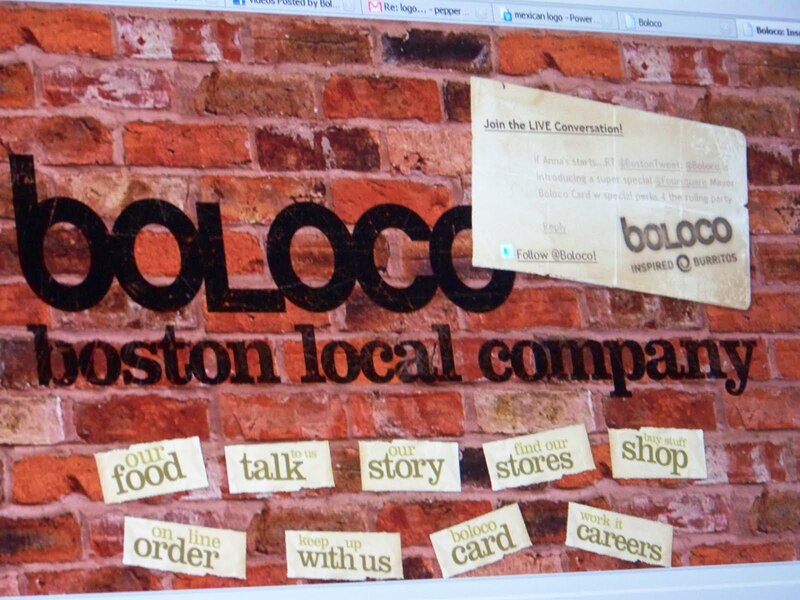 Boloco (which stands for Boston Local Company) began in 1996 with the name "Under Wraps". 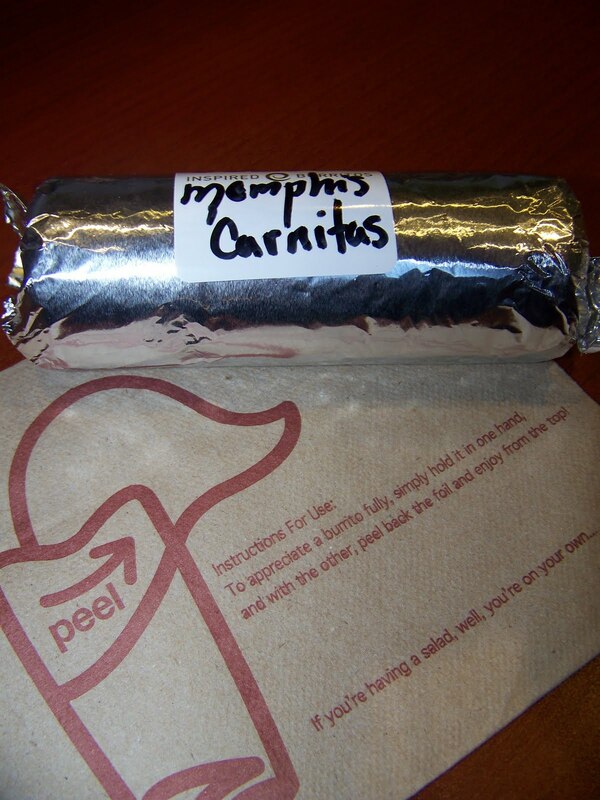 It began as a place where one could get a "wrap" inspired by the Mexican burrito. But they didn't want to be just another burrito shop- they wanted to be more. 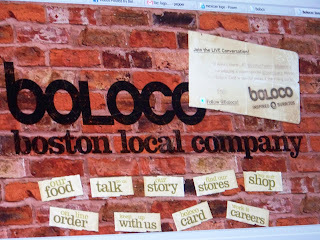 This is what I love about Boloco- 14 year later, and a couple of name changes as well, Boloco still holds this principle at their pinnacle. They are in no way "just another burrito shop". Sure- they offer items that are similar to a burrito, they may look like them, they may incorporate the same principles, but their flavor variations, ingredients, and constant attention to detail sets them far apart. Pepper and Hutchinson made it clear last night that they are committed to not only bring the people of Boston tasty food fast, but they are committed to good food, nutritious food fast-if that's what you want. Every burrito is fully customizable so if you don't want cheese- then don't have cheese. If you want tofu instead of steak- go for it. If you don't want the carbs of a wrap- get it in a bowl. Want just a small meal? Try their mini size burritos- they are the PERFECT size for a light lunch. Even better? Before you head to Boloco hit up www.boloco.com and check out their nutrition calculator- start with the base burrito of your choice and then add and subtract ingredients all while being mindful of their affect on calories and nutrients. However, they don't stop there. 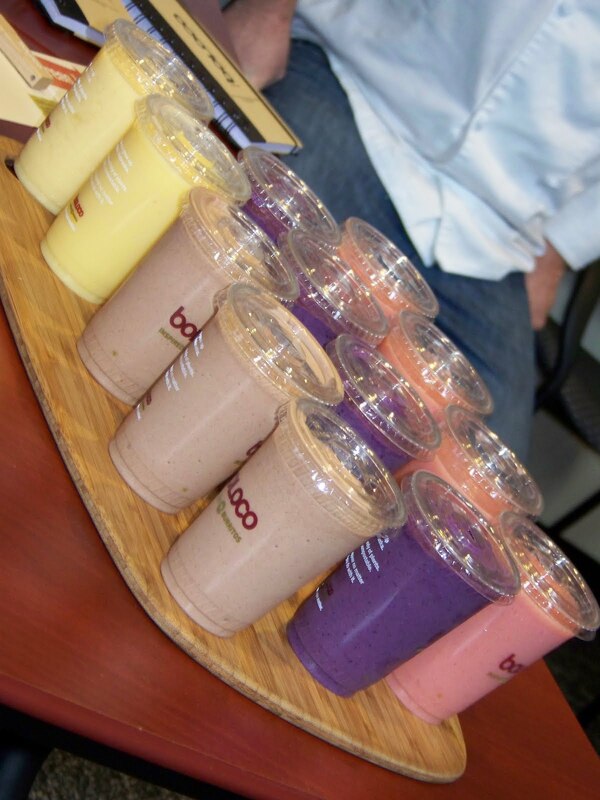 Boloco seeks to bring more and more choice to their menu, offering things like brown rice, and now even testing a possible gluten free menu. Their principles are clear- they want to make the burrito better- better for everyone in regards to taste and nutrition. They are also making a mean smoothie over there! Served in 8 different flavors, they are cold and refreshing with a selection for everyone. I tried out the Jimmy Carter last night- peanut butter, banana, skim milk and non fat fro yo-amazing. I am absolutely craving another this morning. I personally taste tested both the Memphis BBQ - BBQ sauce, coleslaw and pinto beans, made with Carnitas, as well as the Yucatan Habanero- which had a delightfully spicy salsa, pickled onions, sour cream, rice, and was made with chicken. They were both delicious-but completely different tastes. I really felt that if I went to Boloco every day, I could have a different tasting burrito every day and never be bored. All in all, I have a new found appreciation for Boloco and admire their dedication to bring us a burrito that is SO much more than just a burrito.